Bankruptcy provides relief to a debtor who may be struggling to keep a house, keep the lights on, or pay credit card or medical bills. The relief provided is in the form of an automatic stay, exemptions to protect your most essential assets, and a discharge of a portion of the debtor’s debts. It is important to determine to understand the benefits and limitations of the relief that bankruptcy provides before you make the decision to file for bankruptcy. Benefits of an Automatic Stay. Any legal action against the debtor based on a prepetition claim. Indeed, the automatic stay has a broad and expansive reach to protect the debtor during bankruptcy and to limit the actions that creditors may take against the debtor to try to collect prepetition debts or claims. 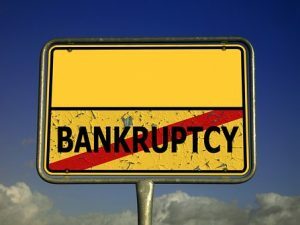 If a creditor violates the automatic stay, the debtor may be entitled to recover actual damages, costs, attorneys fees, and punitive damages under 11 U.S.C. §362(k)(1), (2). The explicit relief provided under the Federal Bankruptcy Code for a violation of the automatic stay generally deters creditors from attempting any type of collection activity while the stay is in place, adding another level of protection for the debtor. However, if the debtor is subjected to any form of collection while his bankruptcy is ongoing, it is important to inform the attorney handling the matter immediately. In addition to the protection provided during the bankruptcy, the automatic stay will turn into a permanent injunction against creditors for the debtor’s discharged prepetition debts. Exceptions to an Automatic Stay. This is not a complete list of the actions which are exempt from the effect of an automatic stay. Therefore, it is important to seek the advice of a New Jersey bankruptcy attorney about whether the automatic stay will apply to any pending actions that you may have against you when you are determining whether to file for bankruptcy. Limitations of an Automatic Stay. The reach of an automatic stay may be limited by the bankruptcy court in several ways. Secured creditors may make applications for relief from the automatic stay for good cause shown under 11 U.S.C. §362(d) to the bankruptcy court. The grounds for receiving relief from an automatic stay are set forth in 11 U.S.C. §362(d) (1)-(4). The automatic stay is also limited if the debtor has filed a bankruptcy petition within the past year and the case is dismissed. The Bankruptcy Abuse Prevention Consumer Protection Act of 2005 (“BAPCPA”) enacted rules to deter “repeat filers” of bankruptcy petitions. Therefore, if a debtor has filed for bankruptcy within the past year, the automatic stay will expire after 30 days of filing. The debtor is thereafter required to file a motion within 30 days of filing his petition setting forth his good faith in the current filing. Furthermore, if the debtor has filed two petitions within a year, the stay is not automatically put into place and the debtor must file a motion to activate the protections of the automatic stay. Therefore, it is important to understand the protections that bankruptcy will provide you as well as their limitations before determining if bankruptcy is right for you. Our New Jersey bankruptcy lawyers can help determine if bankruptcy is right for you. Call us at (973) 890-0004 or e-mail us to schedule a consultation to speak with one of our New Jersey bankruptcy attorneys.